People who put in an American Medical Response application are looking to join a company that strives to help people and support hospitals in any capacity that they can to give patients the best care that they can. Links to apply for jobs at American Medical Response are at the bottom of the page. 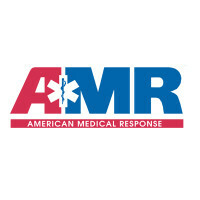 American Medical Response was founded in 1992. In 1997, they were purchased by LaidLaw who then sold them Onex in 2004. In June of 2013, after going through a number of name changes, they finally settled on the Envision Healthcare Corporation and still run American Medical Response. Currently, American Medical Response covers over two thousand communities in forty states of the United States. They employ over eighteen thousand EMTs, paramedics, doctors, nurses, and support staff in all of the locations that they work. In several areas, they provide air ambulance services, event medical services, as well as paramedic and EMT training. Other services that American Medical Response provides their clients with includes emergency and non-emergency transport to various hospitals, medical event standby, managed transportation services, disaster management, and non-hospital healthcare delivery. They also run several events to teach and certify people on how to do CPR. At the corporate level, American Medical Response careers are based out of their headquarters in Greenwood Village, Colorado. Most positions are geared towards making sure that everything is working smoothly at the local level, organizing events that the company is known for, or checking on their training classes. Locally, American Medical Response jobs work towards patient comfort and making sure that everything is working smoothly. Several positions are there to support the hospitals that the company is hired to work in and makes sure that bills are paid and that patients are being taken care of. How old do you have to be to work at American Medical Response? Age requirements vary by job. As you look at American Medical Response jobs online, make sure to look at all the position needs carefully because several need various degrees, certifications, or experiences. Benefits are included with most American Medical Response jobs. Those include medical/vision/dental/life insurance, a 401K, paid time off, holiday pay, discount programs with various companies, and career and leadership development. At some locations, you may also get tuition reimbursement. EMT – When called, you will respond to emergency and non-emergency situations in a quick and timely manner. Upon arrival, you will follow the proper procedures to make sure that everything is done in a safe manner. Compensation is around $30,000 a year. Billing Coordinator – You’ll keep track of patients’ charts and make sure that everything is billed appropriately for them. If there are issues, you’ll need to be able to find them and explain what may have occurred or why it’s so expensive. Compensation is around $35,000 a year. Dispatcher – As people call for emergency situations, you’ll strive to direct emergency responders to the call while offering directions to the responders and the people making the call. Having a level head and being able to work under pressure is a big part of this job. Compensation is around $25,000 a year. Medical Assistant – You may work in administration to make sure that paperwork is filed appropriately and that charts are updated as patients come in. You could also work on the clinical side to check patients in and schedule any follow up appointments, as needed. Compensation is around $35,000 a year. Physical Therapist – When patients come to you, you’ll strive to return them to their well-being through various methods based on their diagnosis and evaluation. As needed, you’ll work to make sure that everything is being complied with for payment. Compensation is around $80,000 a year. Site Coordinator – You’ll work to support the hospital and the physicians by providing reports to the Site Medical Director in order to make things work smoothly. Part of your duties will include billing processes, patient flow chart, and scheduling assistance. Compensation is around $30,000 a year. Why do you want to work for American Medical Response? As this is an extremely common interview question, you should be prepared for it. Talk about what drew you to the company, whether it was the culture or benefits, and why it’s your first choice in places to work. What experience do you have? If you have any relevant experience, make sure to highlight it. If you don’t, talk about what you can bring to the position and offer the company, making sure to use plenty of examples to enhance and support any claims that you may make. Where do you see yourself in the next few years? Your interviewer wants to know if you see yourself with the company. Be realistic in your career expectations, but talk about how you’re willing to take on extra responsibilities and challenges in order to move up in the company. Several positions require you to work in a high stress, high pressure environment, so you may be asked: How do you react and work under pressure? Talk about your reaction, making sure to be honest, if there’s something about your reaction that you don’t like, talk about what you’re working on to change it. Many jobs will require you to work with people who have been in terrible accidents and will need you to be able to work around gore, so you may be asked: Is there anything that you’re uncomfortable about? If there is anything, like blood or bones or guts, talk about it and explain what you’re doing to try to get over the issues that you have. How to apply for American Medical Response online: search for the position that you’re interested in near that area that you want to work for. Once you’ve found it, read through all the job requirements carefully before filling out your American Medical Response application. There is no printable application for American Medical Response. Before attending your interview, do research on American Medical Response and the industry in order to come up with a list of questions that you can ask. This may seem excessive for an entry level position, but it will place you above the other candidates as it shows that you think ahead. Dress nicely for your interview in business casual as your interview will take place in a semi-formal setting, at the very least. Make sure to have a positive and friendly demeanor as it will give a good impression and show that you’re ready to fit into the existing team. Show gratitude at the opportunity to interview with American Medical Response. Afterwards, inquire about the best way to check on your hiring status as few applicants will learn if they get the position during their interview. American Medical Response will want to screen all candidates before making a final decision. Nissan: Visit the job application for Nissan to apply today. Toyota: Toyota offers opportunities for both, beginners and experienced roles. Valvoline: See this page for jobs at Valvoline. O’Reilly Auto Parts: For career opportunities, fill out the O’Reilly Auto Parts online application. McKesson: Checkout the application page for work at McKesson.